Founded in 1985, the State Key Laboratory of Applied organic Chemistry (SKLAOC) at Lanzhou University is one of the first state key laboratories established in China. With continuous effort in years, the SKLAOC has become an indispensable national center for scientific research and education in the area of organic chemistry and related disciplines. As its name indicates, research in the SKLAOC aims to bring organic molecules to industrial applications. 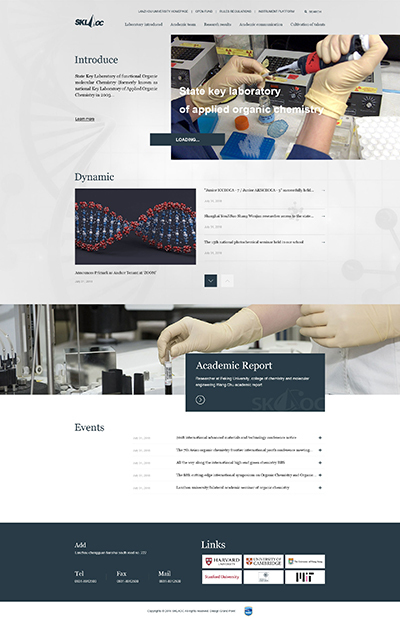 The main research topics in the SKLAOC are: (1) organic synthesis methodology; (2) natural product total synthesis; (3) natural product chemistry & chemical biology; and (4) organic material chemistry.